Inspiration for the heart, motivation for the mind, dedication to the soul! Yoga is a type of exercise in which you move your body into various positions/postures in order to become more fit or flexible, to improve your breathing, and to relax your mind. Yoga is helpful in becoming calmer and united in spirit with others and with God. Aiming for a state of complete awareness and tranquility through certain physical and mental exercises. We have a wonderful line up of practitioners looking forward to pampering you!! We would love to pamper you at our Sunday Spa Day!! April 28, 2-4:30 pm. $40 early sign up or $50 day of event!! Sunday Spa Day was the energy we love, Beautiful faces, sweetness of spirit, positive energy, radiant light!! The road to recovery is long, it is painful, it is frightening, it stretches the limits you want to stay within, but it is worth every minute. Be prepared to jump out of your box for good. Destroy the roots that have strangled you! You have received a second chance at life, joy, hope, sanity, reality, and truth. To learn to trust again, to love again, to believe again, to walk forward again, to live without fear again, is all worth the long journey. There is pain in the healing process, there are great moments of doubt, there is a need to hide in the box you knew so well. But, surrender to this new life. Know that setbacks are inevitable, but each new step forward is on a brand new path of health, healing, wholeness, and truth. Abuse/Violence comes in many forms. Abuse to self, others, children, animals, the world around us. Abuse is so common it is heart breaking. Where is the Love the Love the Love?….The Black Eyed Peas sing a profound song, one I have listened to for years. A song so very popular, because it is so very true……”Where is the Love?” Discrimination only generates hate, racism, outrage, war, animosity, violence in the home, on the street, behind closed doors. What’s wrong with the world today? Where is the love? Where is the truth? May we practice what we preach and turn the other cheek? Father, Father, Father help us, send some guidance from above……. October is National Domestic Violence Awareness month. I started my blog one year ago, sharing some true stories from my existence of over 10 years suffering from domestic violence in another country. Now over 6 years later, I am still claiming new victories every day. From the outpouring of my thoughts, and sharing my truth in word form, over 60 countries have checked into my blog/my life. It is astounding to me to read the messages that have been written to me from around the world, from others who can relate to what I have endured. I am grateful that my sufferings have become my strengths. I pray that your sufferings become your strengths, to bring more love into the world around you. 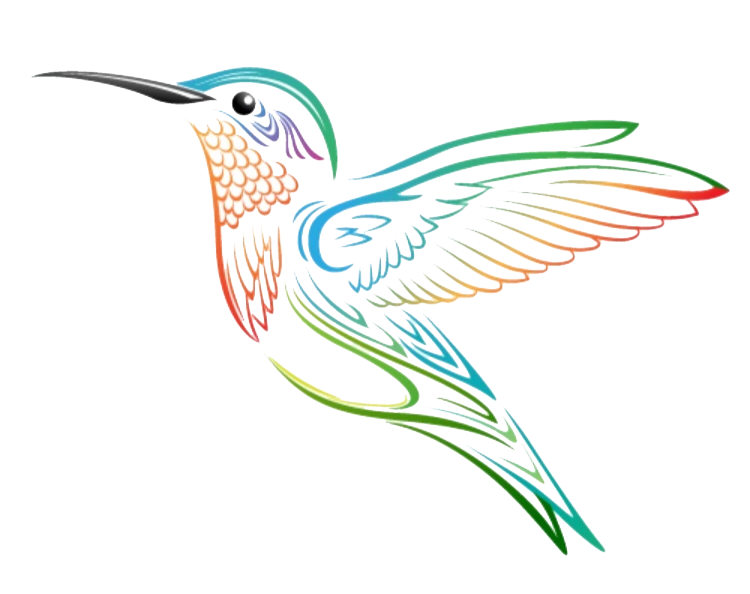 I had no idea that sharing my heart would inspire Hummingbird Yoga Studio into existence. A studio for more than just the art of exercise, but a place to come “home” to, a place to rest the soul, the mind, and the body. A place to share, to listen, to learn, to love, and to grow as an individual. I have been in tears of joy and have loved every day since sharing my heart with those who come in through the doors of Hummingbird Yoga Studio. To be a voice of truth, recovery, strength, hope, love, light, and joy in the darkness…….it is an honor and sweetly humbling to serve our community in this capacity. When we see only darkness and hurt, suffering and pain, tragedy and sorrow, it seems there is no way out. But, there is an inner strength we have all been born with to rise above all odds! Know that whatever suffering you endure, there is a purpose, and there will be a silver lining……….to share your hope, your breakthrough, your truth with the world, with those who may be suffering from a similar situation as you. Do not stand in your own way, keep the voices in your head in check, rise above, conquer, and know that there is a Being much stronger than you, the One who created you, sustaining your very existence. The earth supports you every single day, feel the ground beneath your feet, look to the heavens, watch as the seasons change, listen to the spirit in the wind. My son was so excited to share a song that was introduced to him by a close friend, a song by The Script, “Hall of Fame.” “You can be the greatest, you can be the best…… you can move a mountain…….” Wow! Great to hear positive uplifting songs for this generation of kids. “You can go the distance……..you can walk straight through hell with a smile…….do it for your people, do it for your country, do it for your name…..be a champion, be believers, be leaders!” To this I say YES! Live your life, live it to the fullest. No hardship you endure is in vain. Strive to find the rest, find your breath, heal your soul with the things that inspire you in life! And I challenge you to uplift and inspire others along the way. When your world starts crumbling around you, and it will, pull yourself up with the support of those you love, those you trust, your community, your tribe, your church family, your significant other. Stay strong! Life is too short and too precious to waste time dwelling on what could have been, what should have been. Breathe in the moment, live in the present, gently hold sorrow like a butterfly, grieve for as long as you need, hold on to what is important in your life. But, do not hold on so tightly to what you think you must have, want, or need, for this will only hinder you without an open hand to receive more of the goodness and blessings that are awaiting you. Release, believe and live! If nothing else….. just be, just smile, just relax and surrender to the flow of life. May you proser on your journey, on your path, rewrite your script today! Classes offered 6-7 days per week. See Class Schedule in Menu.